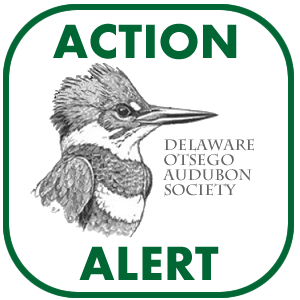 Delaware-Otsego Audubon Society coordinates THREE regions for the annual National Audubon Society Christmas Bird Count – Oneonta Region in Otsego County, Fort Plain Region in Montgomery County, and Delaware County Region. These counts take place in late December and early January each year (the Fort Plain CBC is typically held on the Saturday following Christmas). 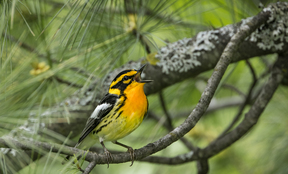 *As of 2012, there is no longer any fee to participate in Christmas Bird Counts. All are invited to participate. 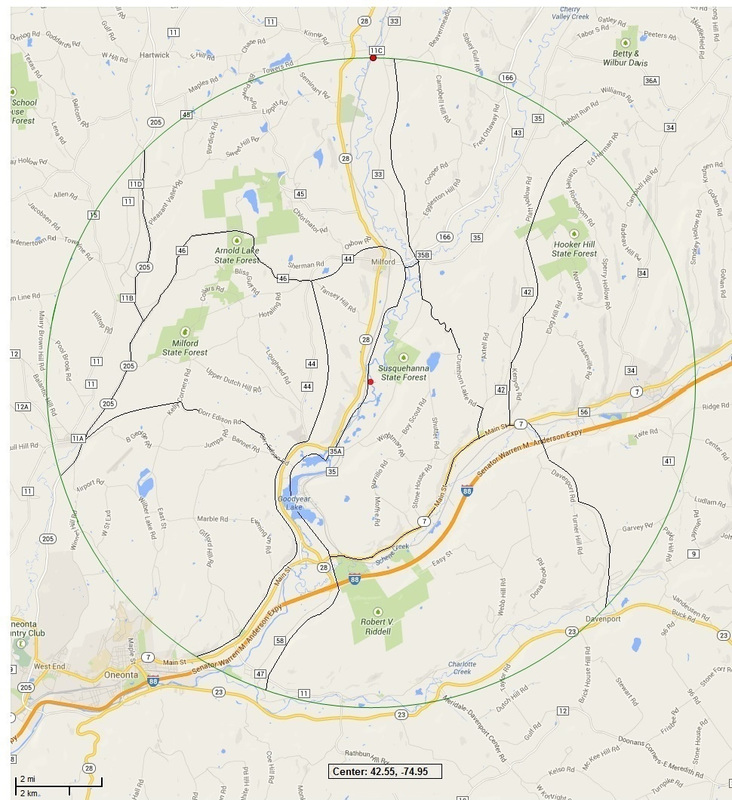 Contact Pam Peters if you can drive or count: ovenb1rdp@gmail.com or (607) 829-6545. This is our 50th year of participating in the national count. Everyone, novice or experienced, is welcome to join us on this fun day. Small groups in one or two cars count all the birds they find in their assigned area, within our designated 15-mile radius circle centered around Milford, for whatever hours they choose. 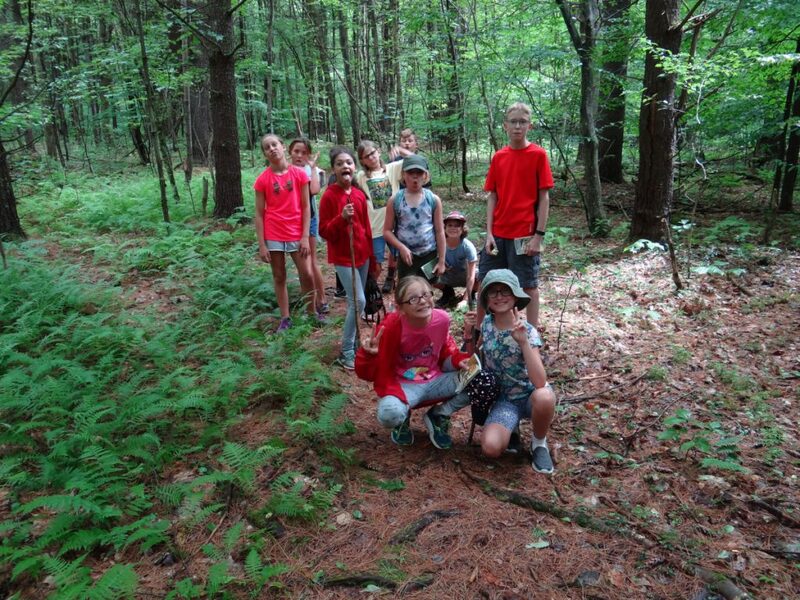 All are welcome to participate regardless of birding experience. There will be a potluck after the count. 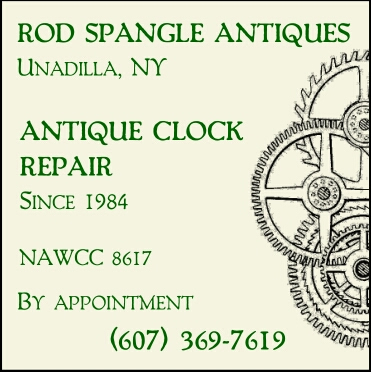 For information contact Bob Donnelly: rsdonn@yahoo.com or 607-264-8156. 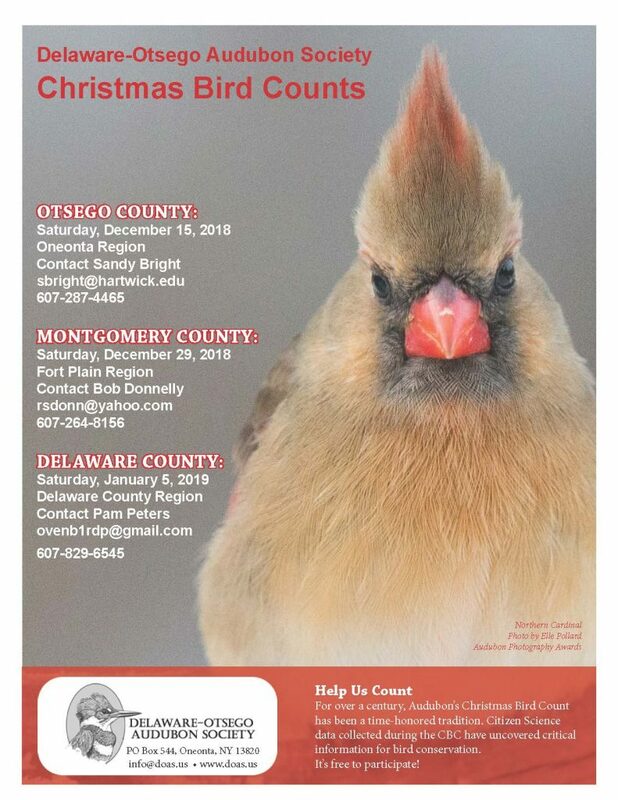 The Christmas Bird Count (CBC) is a long-standing program of the National Audubon Society, with over 100 years of citizen science involvement. It is an early-winter bird census, where thousands of volunteers across the US, Canada and many countries in the Western Hemisphere, go out over a 24 hour period on one calendar day to count birds.